Magdalen House residents enjoy healthy, delicious home-cooked food served up by our dedicated in-house chef. Our menus change regularly, using fine quality ingredients and our dementia café enables residents the chance to dine as if they were in their own dining room, with friends. We want to ensure everyone enjoys meal times and so we are happy to accommodate all dietary requirements upon request. Our kitchen has a five star rating from the local environmental health agency. We have several dining rooms throughout the home designed to give residents a choice on where they would like to dine and who they would like to dine with. 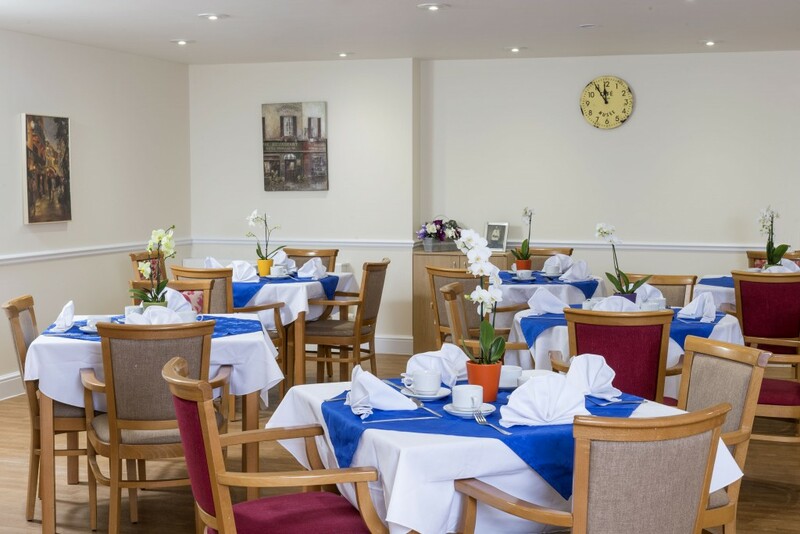 Our dining room has been designed to reflect what our residents are used to, retaining the feel and finish one would expect to find in a care facility of such high standard.